At Cramm Yachting Systems, we work with a dedicated team of professionals in the fields of concept, design and engineering. Even though our company was established over SIXTY years ago, our culture is still marked by the passion and innovation of a friendly start-up. At Cramm, innovation, entrepreneurial spirit and personal development take centre stage. We attach strong value to good ideas and promising initiatives, and we’re happy to provide you with room to work out a concept for yourself or a client. Cramm develops a wide array of yacht equipment, ranging from passerelles and sliding beam cranes to cranes and ladders. Our clients’ unique wishes mean that at Cramm, you hardly ever come across a ‘standard’ project! Design-Engineer (HBO+) – In deze functie ben je mede-verantwoordelijk voor het initiëren, coördineren, begeleiden en uitwerken van mechanische, hydraulische en elektrische productie-tekeningen. Je neemt het voortouw waar het gaat om innovatieve ontwikkelingen in onze producten-range. Werkvoorbereider (MBO+) – In deze functie ben je verantwoordelijk voor de voorbereiding van productietechnische werkzaamheden van toegewezen projecten. In samenspraak met de projectleiders/inkoper/werkplaats zorg je voor een perfecte doorloop van de projecten. Service-Monteur (MBO)– Naast het produceren/assembleren van eigen equipment voeren wij ook complete refits uit. Als service-monteur sta je aan de basis van de productie, reparatie, onderhoud en de service naar en bij onze (internationale) klanten. Are you looking for an interesting and educational trainee post – in connection with a final project, perhaps? We offer a responsible, independent position with ample scope for taking the initiative. Feel free to send us a fully elaborated proposal accompanied by your CV, the details of your trainee assignment and the desired term of your placement. Send us an email or fill in the form below. Don’t hesitate to send your open application to jobs@Cramm.nl or call us for further information! Stay up-to-date by signing up to our newsletter for information on upcoming events, latest product development, reviews and projects. We will keep you updated on what is going on here at Cramm on a monthly base! 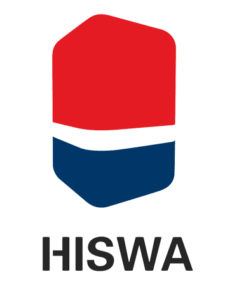 Cramm is a member of the HISWA Holland Yachting Group (HYG) and Netherlands Maritime Technology, which represents the best of the Dutch yachtbuilding industry. Membership is based upon exclusive requirements and serves as a hallmark for our clients, ensuring they receive the optimal quality within the international superyacht market.